I appreciate your work and I value this wonderful resource. 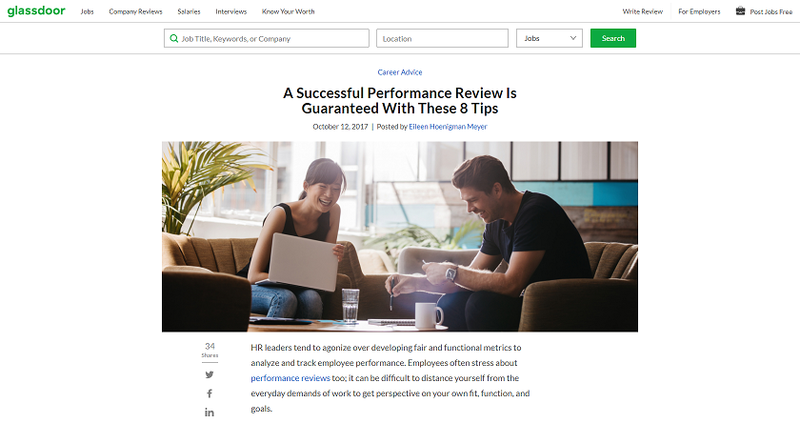 Here is a link to a recent article I wrote for Glassdoor’s blog. I got a great response from posting this query on HARO, and I found three perfect sources for the article. I use HARO all the time, and I routinely connect with great sources and forge stellar professional connections. I don’t know how I would get by without your help. Eileen Hoenigman Meyer is a freelance writer whose work has been published in The Washington Post, The Independent, Fast Company, MSN, CNBC, Yahoo-News, The Huffington Post, Thrive Global, POPSUGAR, Chicago Parent Magazine, St. Anthony’s Messenger and others. She is blog writer for Glassdoor and HigherEdJobs.